It seems that Sunset Way is seeing quite a bit of switch-up with the F&B tenants here, especially with the closure of Megumi Japanese Restaurant, De ‘Beer Seafood and The Tiny Roaster and also the opening of Springleaf Prata Place and Summer Hill. Summer Hill takes over the former space occupied by The Tiny Roaster, which is coincidentally one of our favourite places back in the day best known for their hand brews and filter coffee. The space is still largely familiar to the days when it was The Tiny Roaster, though some of the previous fittings had been stripped away; the iconic brick wall by the side is now home to a menu as well as the self-service area, while the small dine-in area still remains as a small dining area that consists of two tables of four seats each. 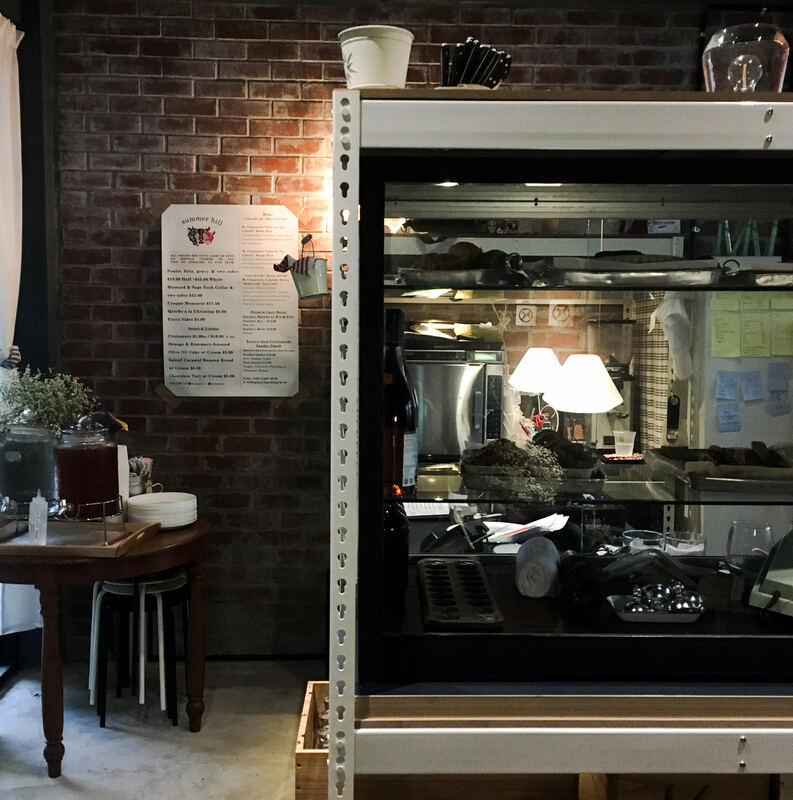 The back-of-house area had been completely revamped, with the area from the counter all the way to the roastery being converted into an open concept kitchen that is deliberately left open for a more intimate experience with the guests. 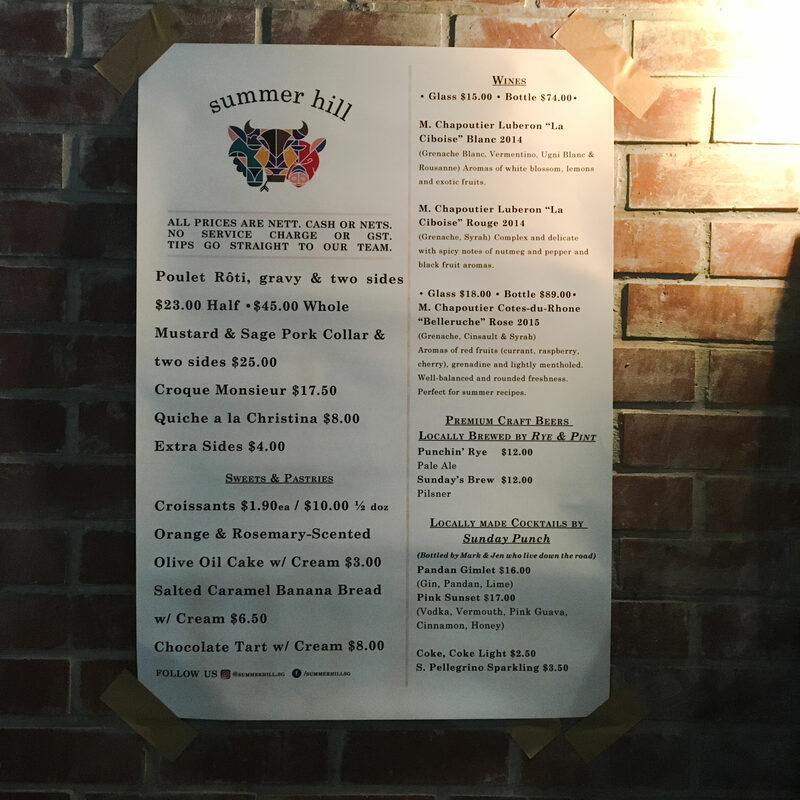 The menu here at Summer Hill seems to be painstakingly curated; the menu largely consists of French fare which includes Poulet Roti, Pork Collar, Croque Monsieur and a Quiche, while also carrying a small variety of cakes and bakes for those who are looking for something light. The beverage list at Summer Hill is largely made up of alcoholic drinks, though the soft drinks and sparkling water are also available apart from the free-flow still water and free-flow iced tea that is placed at the self-service counter. 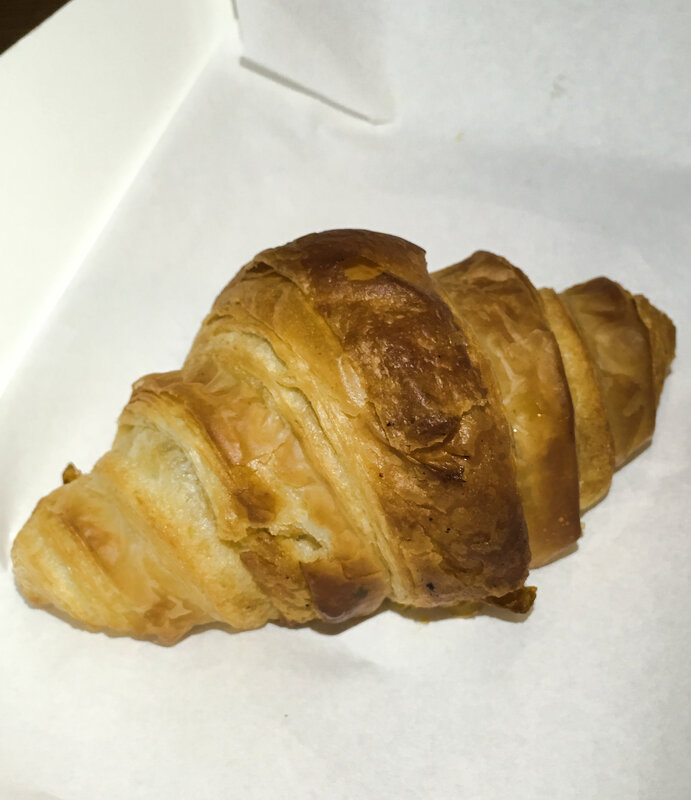 The Croissant here is warmed up upon order; the pastry was light and flaky, whilst buttery and fluffy within. It would have paired well with a cup of coffee on the side (which they sadly, do not serve). Going for the only dish that was seemingly more of a substantial brunch item on the menu, the Croque Monsieur was simple, yet a showcase of the finesse of the execution and the attention to detail. The Croque Monsieur is a dish that is relatively commonplace in cafes around lately, but the variant served at Summer Hill is one that we found pretty impressive; from that crusty toast which was light and fluffy, to that good proportion of quality ham that carried just enough bite for a consistent texture throughout the entire sandwich. 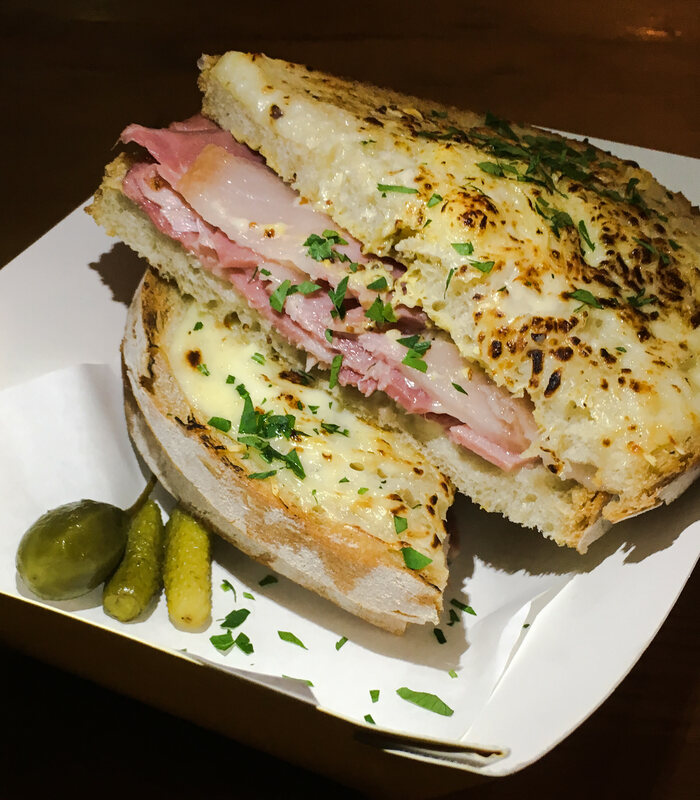 It was cheesy, savoury and carried a hint of garlic and also a slight hint of mustard; a well-put-together sandwich that was simple yet satisfying; big on flavour and certainly exceeded our expectations for the dish itself. We also went for the Mustard & Sage Pork Collar with two sides; an item that was seemingly more appropriate for dinner as compared to the Croque Monsieur. 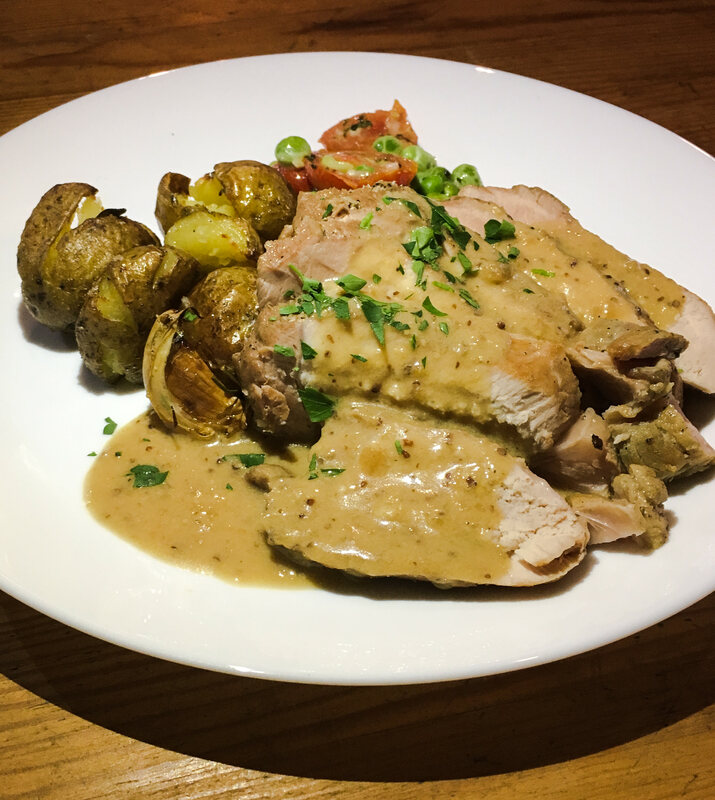 Yet another item that was set to impress, the pork collar was immensely tender, cut against the grain for an easy chew whilst not carrying any porky stench; the mustard and sage sauce helping to neutralise any overwhelming meatiness that might come in between. While the menu does not list the sides nor mention the sides that come along with the dish, the baby potatoes was an instant hit for me; the use of herbs to flavour up the potatoes is something that went well with my taste buds, seemingly the same way that we would prepare them ourselves along with the crisp skin and soft, fluffy insides. Despite not being one who is easily drawn to peas, the peas that came along on the side were also pretty decent; we actually went for the peas more than we had imagined considering how they seemed to have tasted less “green” as what we expected them to be. 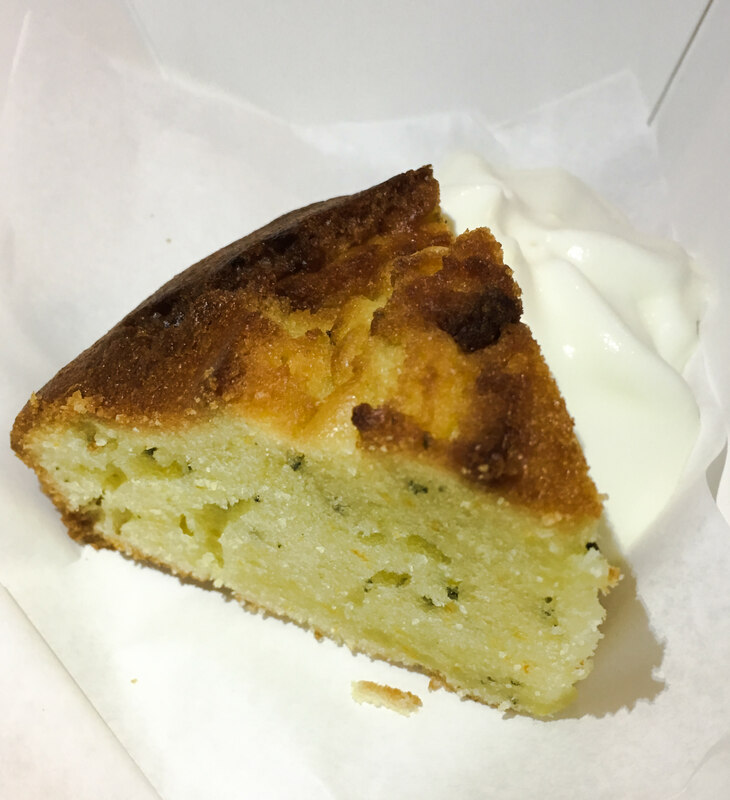 Rounding off the meal with a cake, the Orange & Rosemary-Scented Olive Oil Cake with Cream was a steal at $3 considering the quality of the cake. This was what an ideal cake would have been; considerably fluffy without being overly dense, while still being sufficiently moist throughout. The orange and rosemary perfumes through the entire cake lightly; the rosemary helping to counter the citrusy flavours from leaving an aftertaste in the finish while the light and airy whipped cream helps to add a richness to the orange and rosemary flavours of the cake whilst adding just a hint of sweetness to the entire dish. Very value-for-money indeed. Summer Hill is perhaps one of the new spots that started off 2018 with a bang; not only did the food left an impression, but the passion behind the entire place and the food can be felt from what was being presented to us at the table; the heart behind the food and the skills that translates into the finesse of the dishes being served. Service was also good and genuine, with the staff willing and able to answer queries about the food and the menu if any. A place run by people who are serious about the food, Summer Hill is indeed a hidden gem that is waiting to be discovered in the Sunset Way neighbourhood that is worth making a special trip for. We wish the folks behind Summer Hill on the best in what has to come!